For additional health articles, recipes, and information on the aroniaberry, visit our blog. Keeping a healthy heart means eating right. Aronia berries supplement your diet and enhance your energy for exercise. Starting an exercise program and sticking with it isn't always easy because the tendency is to start an exercise program with too high of a level of intensity. Start your exercise program modestly so you will stick with it. 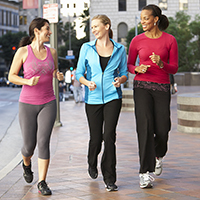 Begin your morning with a brisk walk around the block. Choose to take a couple flights of stairs at work rather than the elevator, and walk briskly with a friend in hilly areas to enhance and ease into a cardio routine that you will stick with. Do ten minutes here and there during the day and slowly add more intensity and longer duration as you progress. Remember you must first learn to walk before you can run. Low impact aerobics generally have a much smaller risk of injury than high impact aerobics. Low impact aerobics will still work the cardiovascular system, but not at the intense level of high impact aerobics. A brisk walk, water aerobics, tai chi and riding a stationary bicycle riding are examples of low impact aerobic exercises. Low impact aerobics don't put the stress and strain on the joints and bones that higher impact aerobics do. Low impact aerobics are generally recommended for beginners, the elderly and obese or overweight persons. The low impact aerobics will raise the heart rate levels somewhat, but not to the extreme that higher impact, higher intensity workouts will. Starting off with low impact aerobics is an excellent way to introduce the body to a fitness routine and get the body used to exercise. Gradually increase the level of intensity of the low impact workout over time to continually gain cardiovascular benefits from the workout and improve health and wellness. As always, consult with a physician before starting any exercise routine, and maintain fitness with exercise and a well-balanced diet supplemented by Superberries Aronia Berry products. Sleep is very important to a healthy lifestyle. Numerous studies have shown that the lack of sleep can contribute to a host of diseases and exacerbate stress and anxiety levels. The average adult needs anywhere from seven to nine hours of sleep each night. To get the rest needed to operate in the 24/7 world, most sleep specialists advise divesting the bedroom of electronic equipment including cell phones and televisions and keeping the room temperature at cooler levels. If this does not work, some specialists advise setting a sleep schedule by going to bed at the same time every night and waking at the same time every morning. This allows the body to fall into a “schedule” for slumber. If the sleep schedule does not work, a number of studies show that 15 to 20 minutes of daily meditation has effectively treated numerous patients with moderate to severe insomnia by allowing the body to relax without need for medication. All in all, sleep along with a healthy lifestyle enhanced with Superberries Aronia Products will keep you running along on the fitness road. A 2012 study performed by Australian researchers found a connection between low-fat milk, low-fat yogurt and a reduced risk of high blood pressure. The common consensus was that calcium and peptides may play a role in the reduction of the blood pressure. However, further study is needed to either confirm or deny the possible benefits of dairy on blood pressure. Other studies point to flax seed as a beneficial food for lowering both systolic and diastolic blood pressure levels. Researchers say there may be a link between reduction of blood pressure and the alpha linolenic acid, lignans, peptides and the fiber contained in flaxseed. A 2010 study performed on the benefits of dark chocolate on the blood pressure showed promising results regarding the flavonols in the chocolate and their effects upon both systolic and diastolic levels. Dark chocolate may help form nitric oxide in the blood vessels, which helps ease the circulatory flow. A diet rich in olive oil was linked in a 2013 study to a drop in the blood pressure of several at risk women. Olive oil is rich in polyphenols and Omega 3 fatty acids, which have been shown to be beneficial to the circulatory system in numerous ways. Feel the beat of the beet. That's right, red beets and beet juice are high in nitrates. The nitrates in the beets have been shown to lower blood pressure levels and aid circulation in several recent studies. One serving of unsalted pistachios a day also may aid in the reduction of systolic and diastolic blood pressure levels. The indications are that the oils from the nuts may actually strengthen the blood vessels thereby working to assist healthy blood flow. One glass of pomegranate juice consumed daily might aid in the reduction of blood pressure levels. Researchers in the United Kingdom suspect there may be a link between the potassium and the polyphenols found in the pomegranate juice and lower blood pressure levels. Three servings of fatty fish, such as salmon and sardines, had a positive impact on blood pressure levels in separate studies performed in Spain, Portugal and Iceland. The researchers indicated that fish high in Omega's helped lower both systolic and diastolic blood pressure levels. A British study released in 2010 shined a spotlight on consuming whole grains, such as oats and whole wheat, three times weekly as a potential benefit for lower systolic blood pressure levels. The research is ongoing on the whole grains and the researchers found little change in the blood pressure levels of those consuming refined grains. A 2010 study at Tufts University found that drinking hibiscus tea three times daily led to lower blood pressure in people with mild cases of hypertension. Hibiscus tea contains powerful antioxidants such as polyphenols and anthocyanins which may lead to lower blood pressure levels and increase circulatory function. Finally, a study published in the NIH (National Institute of Health) showed exceptionally promising effects of the Aronia Berry on blood pressure in mild cases of hypertension. 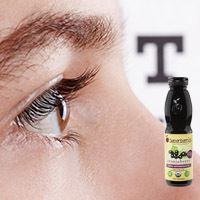 The researchers indicated that the high amount of anthocyanins and flavonoids contained within the Aronia extracts may have a marked affect upon the blood pressure, though more research is still needed to confirm these findings. While there are many promising indications that some of the foods we eat may lower the risk of hypertension and stroke, there is still much more research to be performed. Researchers will say, however, that a well-balanced diet is integral to continued health and wellness. The best advice, they say, is to consult with your doctor on any dietary changes. 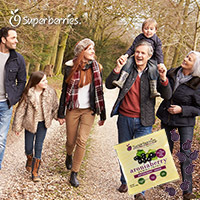 In the meantime, keep "eating purple" and boost your antioxidants with Superberries Aronia Berry Products. Aerobic exercise gets the heart pumping and boosts the efficiency of the cardiovascular system. Small blood vessels widen during aerobic exercise and allow a higher concentration of oxygen in the body to neutralize waste products within the body. 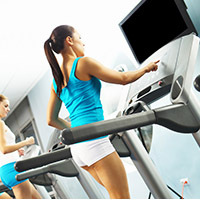 Aerobic exercise assists with weight control. It reduces fatigue and increases stamina. It may boost immune system response and ward off viral infections. It can reduce the risk of heart disease, high blood pressure, stroke and type 2 diabetes. Aerobic activity strengthens not only the larger muscle groups, but strengthens the heart as well. There are indications that aerobic exercise also contributes to lower cholesterol levels. Aerobic exercise boosts endorphins and improves mood, easing depression and reducing the instances of stress related anxiety. It boosts longevity, keeps the muscles strong and improves mobility as a person ages. A daily dose of aerobic activity supplemented with Superberries Aronia Berries and a well-balanced diet can bring you a step closer to health and wellness. Conventional wisdom in the past was to exercise while a person was angry. Anger gives a person more energy, boosts performance and can actually assist a body in working through various frustrations by releasing “feel good endorphins. While, intense exercise is an excellent stress reliever for people who are in optimum health, people who have certain risk factors such as cardiovascular disease, high blood pressure, high cholesterol, or diabetes, should avoid the“anger workout. A new study performed on 12,000 people shows the rate of heart attack more than tripled when exercising within 60 minutes of an "angry moment". While an intense workout is beneficial for the healthy in managing anger, experts recommend a more mindful approach for those with cardiovascular and diabetic issues. Mindful routines include yoga and palates, which can help manage anger and stress while assisting the cardiovascular system at the same time. Mindful workouts lessen the physical impact upon the heart that weightlifting and intense cardio might have. Mindful routines can also impact the heart in a positive manner by bringing the “fight or flight" response under control. While anger may be beneficial to workouts in healthier people, it can be a detriment to those with cardiovascular disease. As always, check with your doctor before beginning any exercise routine and eat a balanced diet with Superberries Aronia Berry products. Maintaining good eye health is a must as we age, yet it's not something commonly discussed. To maintain eye health a well-balanced diet rich in superfoods is a must. A superfoods diet is rich in Omega-3 fish, spinach, kale and collard greens, eggs, nuts and beans, citrus fruits, Superberries Aronia Berries and of course carrots. Smoking can also cause a host of eye related issues such as cataracts, nerve damage and macular degeneration. Wear sunglasses that block 100% of the UVA and UVB rays to protect your eyes from sun damage. Use goggles if working around hazardous or airborne materials. Don't stare at the computer screen for long periods of time. Staring at the computer screen can cause eyestrain, blurry vision and dry eyes. And finally, get regular checkups with your eye care physician. Following these simple tips will help keep you “seeing" into the future for years to come. Living a healthy lifestyle can be somewhat tricky in today's 24/7 world, particularly with the limited amount of time we have in our daily lives. To maintain top form in health and wellness, several experts recommend about 150 minutes of exercise spread out over the course of a week. Exercise helps maintain the body and keeps the mind sharp. Get seven hours of sleep a night or more. The body and the mind function much better when well rested. Balance work and school activities with relaxation techniques such as meditation and “me"  time. Finding a center and using healthy coping mechanisms will help reduce stress and keep the calm. Engage in mental activities such as reading, playing games of strategy or working crosswords. These activities help keep the mind sharp and focused. And finally, eat a well balanced nutritious diet supplemented with Superberries Aronia Berries to keep the body nourished and in the peak of health and wellness. High impact aerobic exercises are any exercise where both feet leave the ground on a regular routine basis. Running, skipping rope, jumping jacks and step aerobics are great examples of high impact aerobics. The intent of high impact aerobics is to maintain an elevated heart rate for 30 minutes or longer in order to increase oxygen flow throughout the body and build endurance and fitness. 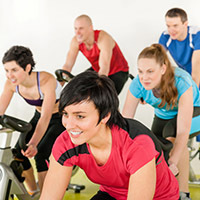 High impact aerobic exercises can build stronger bones, muscles and strengthen the heart. It reduces the risk of cardiovascular disease and increases blood flow in the body. It can also strengthen the immune system and increase body energy. People with osteoporosis, cardiac conditions, auto-immune disorders, joint problems or other medical conditions related to the bones, joints and heart will want to consult with a physician before undertaking any high impact aerobic routine. 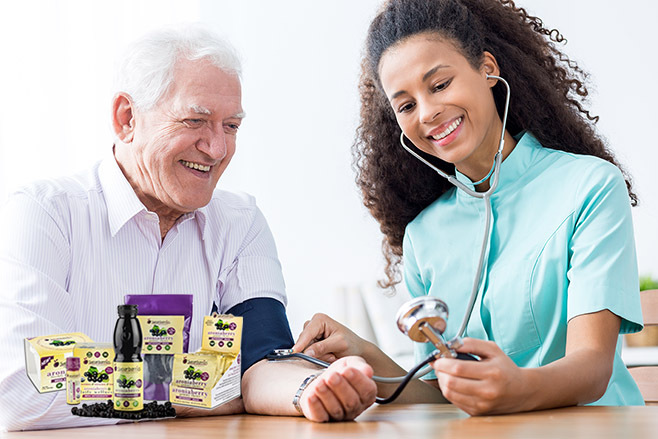 High impact aerobics and a balanced diet supplemented with Superberries Aronia Concentrate are a “step" in the right direction to good cardiovascular health and wellness.